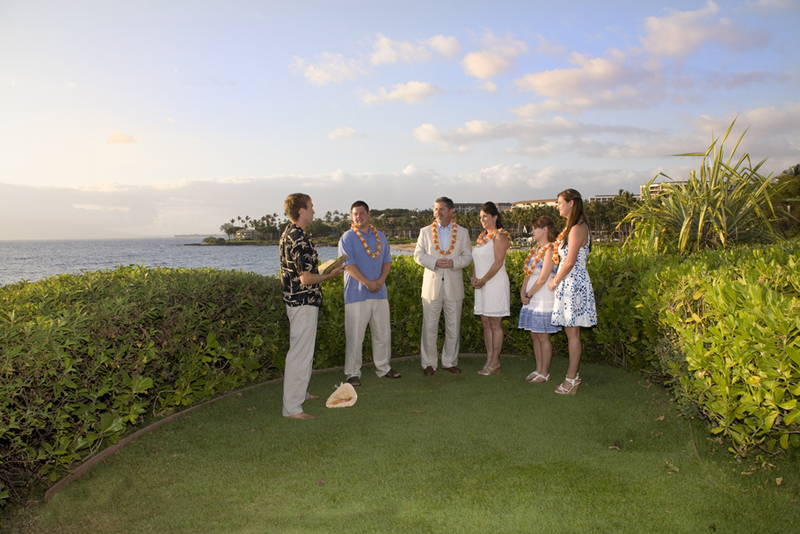 Maui Weddings on Wailea Beach are spectacular . The GRAND SALON at the WORLD FAMOUS Waldorf Astoria Grand Wailea– Wailea, Maui, and Hawaii Wedding and Vow Renewal now offer our discerning clientele the opportunity to have their dream wedding just steps away from the Grand Salon at the Grand Wailea’s world renown salon on the beautiful Wailea beach fronting this magnificent 5 star hotel. 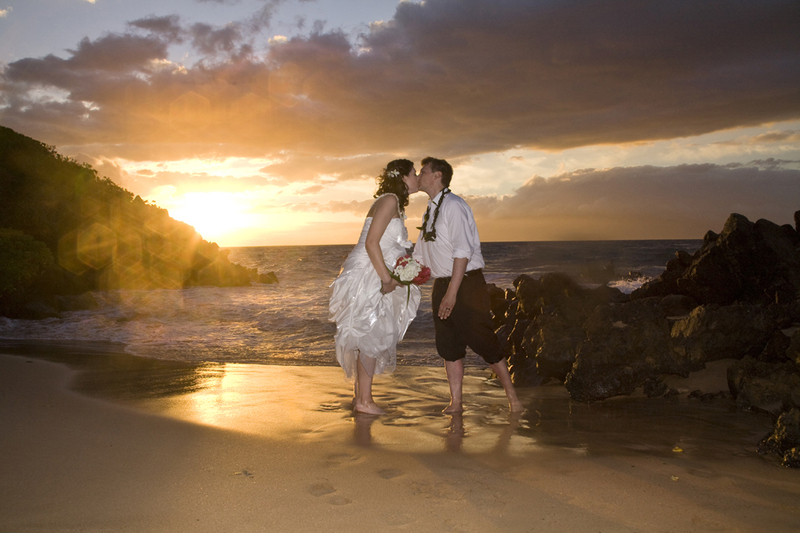 (Please note: You do not have to be a guest of this hotel to procure this Maui wedding package). If you are staying at the Fairmont Kea Lani, Four Seasons, Andaz, Wailea Marriot, Wailea area condos, you are within walking distance. 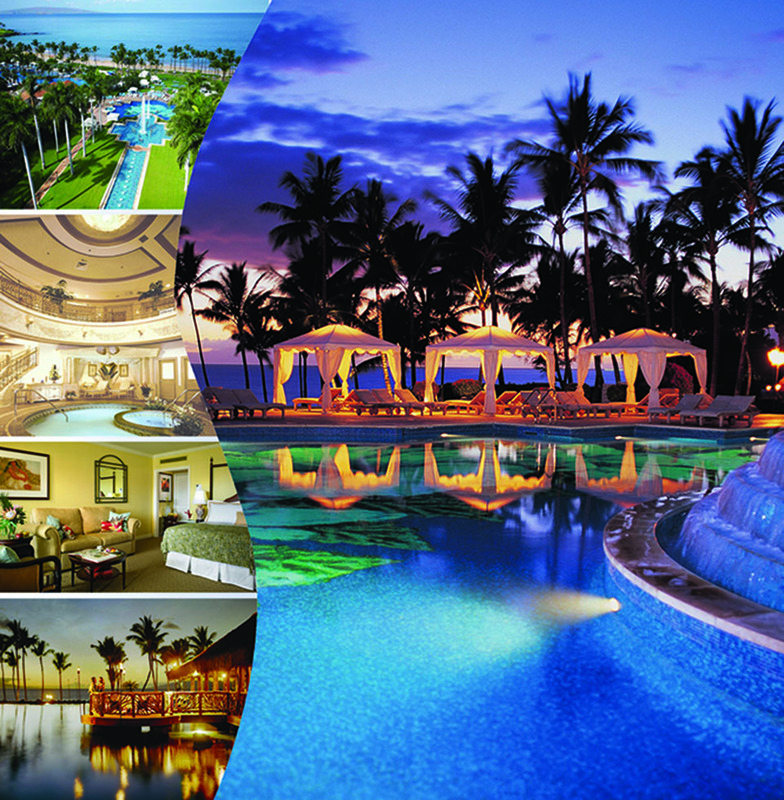 Wailea is the upscale, best-part of Maui. Kihei, Maui is also very nearby. See Kihei ocean honeymoon apartment. • Forty Photographs available via digital download. Photography is at ceremony location up to 1.5 hours. • Rights to images and ownership letter also provided at no additional cost. Photo touch-up included free also. • Additional photography upgrade available upon request. • Professional video of ceremony and sunset after-shots available for $825.00. Please inquire. A truly gorgeous setting for your wedding. Your wedding day begins with the pampering at the Spa Grande at the Waldorf Astoria Grand Wailea. The salon staff will assist the Bride to change into her bridal attire following the salon services. Then, walk a few steps to the world famous beach and get married! Following your ceremony and photography walk up to one of 2 fantastic restaurants at the Grand Wailea or 3 restaurants at the Four Seasons for either an intimate dinner for two or a fully catered affair for large parties. What could be more beautiful or stress free for your big day? Exotic and romantic, this ocean side restaurant offers amazing sunset views. 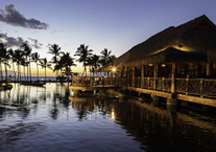 Named after Hawaii’s state fish, the Polynesian thatch roof restaurant seems to float on a million-gallon saltwater lagoon filled with tropical fish. Select your own lobster from the lagoon or savor delicious Island fish and meat entrees with Polynesian or Hawaiian influences.